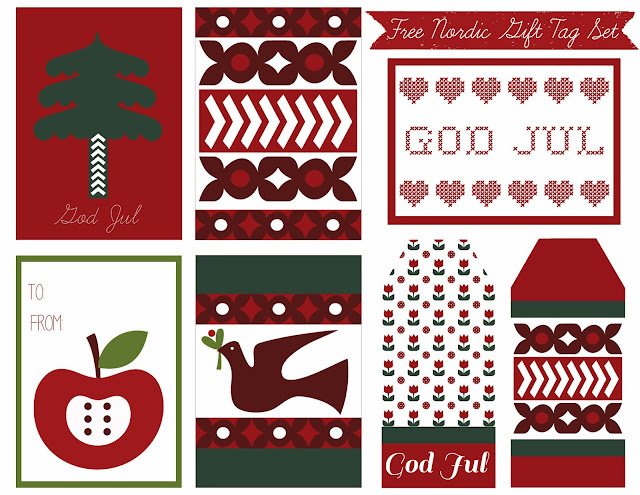 Here are some printable holiday gift tags made with the same clip art I used in the Nordic-style digi papers I shared a few days ago. Just click the image above to download. Merry Christmas! For more Christmas freebies - including treat bag toppers, lunch notes, digital papers, and much more - just follow this link.